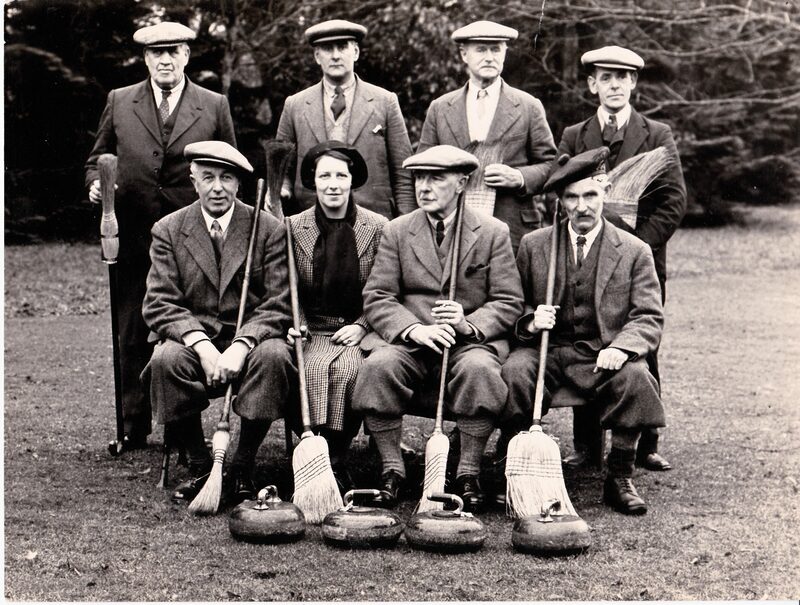 In 1853 Duddingston Curling Society ceased playing on Duddingston Loch, and the curlers moved to Coates, to the north west of Princes Street. 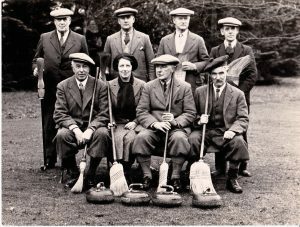 A revived Duddingston Curling Club was formed in the 1890s and still exists today, though their curling now takes place at Murrayfield Ice Rink. The Tower was completely derelict and roofless in 1978 when it was re-roofed by the Duddingston Village Conservation Society, with donations received from various interested associations, particularly the Rotarian Curling Society of Canada. 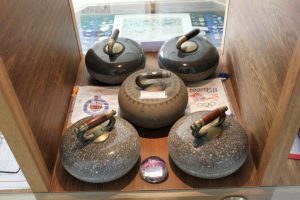 During 2008-09, Dr Neil’s Garden Trust restored the Tower – with grant aid from the Heritage Lottery Fund, the National Trust for Scotland and Historic Scotland, and it now contains exhibitions about curling past and present, Playfair, Thomson, and the Garden. The Tower is open to the public on Sunday afternoons in July and August, 2-4pm, and on request. We would like to thank Mrs Mary Rankin for the kind donation of some new stones and memorabilia from Comrie and Monzievaird Curling Club. Mrs Rankin’s father Fred is in the top right of this picture.